Family Favorite Mexican Casserole - This is a supersized Enchilada! Family Favorite Mexican Casserole makes a very filling casserole, corn torllias, ground beef, cheese, taco seasoning and more make for a delicious casserole. Looking for a new casserole your entire family will love? 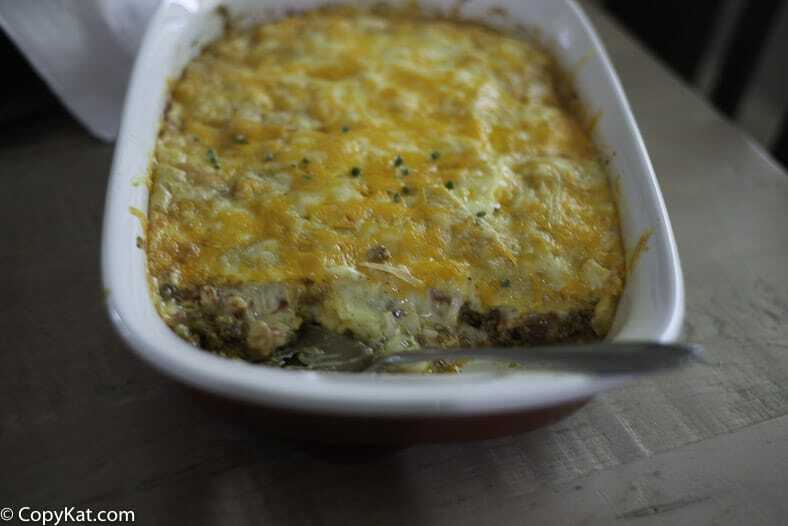 Look no further, this casserole is filled with ground beef, super melty Monterey Jack cheese and so much more. 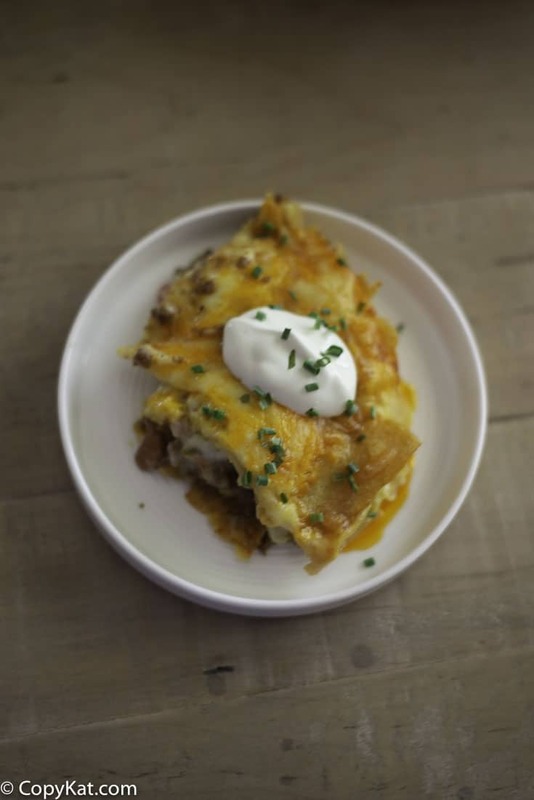 This casserole is like a giant beef and cheese enchilada. This recipe is very adaptable, you can could swap the pinto beans for black beans. You could also swap the recommended cream of chicken soup, for cheddar cheese soup to make this Mexican casserole even more cheesy. Looking for a recipe that reheats well? This is the one you want to serve. 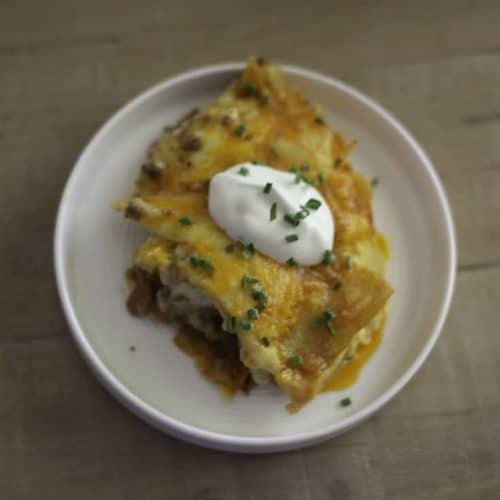 This layered Mexican casserole is a great hearty dish for your whole family to enjoy. In small bowl mix Cheddar cheese and a handful of Monterey Jack cheese for the top. Mix the rest of the Monterey Jack cheese and the onions in a bowl. Mix beans and meat. Mix tomatoes and soup in a small bowl. Line a 13X9" pan with tortillas. Layer the meat and cheese and onions then finish with corn tortillas. Spread soup and tomatoes and top with cheeses. Cover with foil and bake at 375 degrees for 45 minutes. Let stand about 5 minutes before serving. This recipe is by Brenda Thompson. Cleveland, TX. 1989. I found this recipe on here years ago and have been making it ever since. One of my absolute favorites! !